This qualification gives an increased knowledge and understanding of the reason behind Fire safety standards and regulations within the workplace. It also covers the nature of fire and its progression, associated hazards and risks associated with fire and the control measures that need to be in place to ensure the safety of staff and clients alike. By learning about these points and how they can be put into everyday practice, the role of Fire Marshal can be fulfilled. 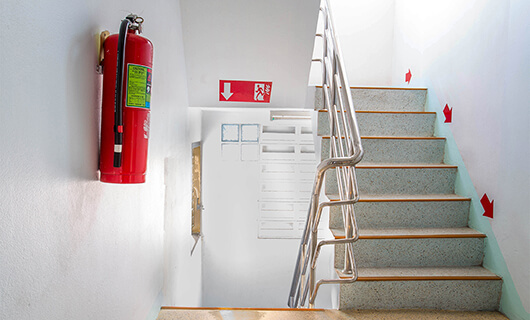 Students who gain this Fire Marshal Training qualification will know that fire safety is the responsibility of everyone within the workplace and will recognise the consequences of a fire in any premises. To provide Fire Marshals with the knowledge and understanding of fire awareness within their workplace. Through the identification of their role in fire prevention, the role of Fire Marshal can be filled completely. The Fire Marshal Training programme is crucial to those who need to be fully qualified and compliant with Fire Marshal rules and regulations. This course is accredited by Centaur Training Services in our own right.